Luxury meets rugged. Made from premium grade leather. Custom laser engraving its available at no additional charge. Comes plain without engraving unless specified. 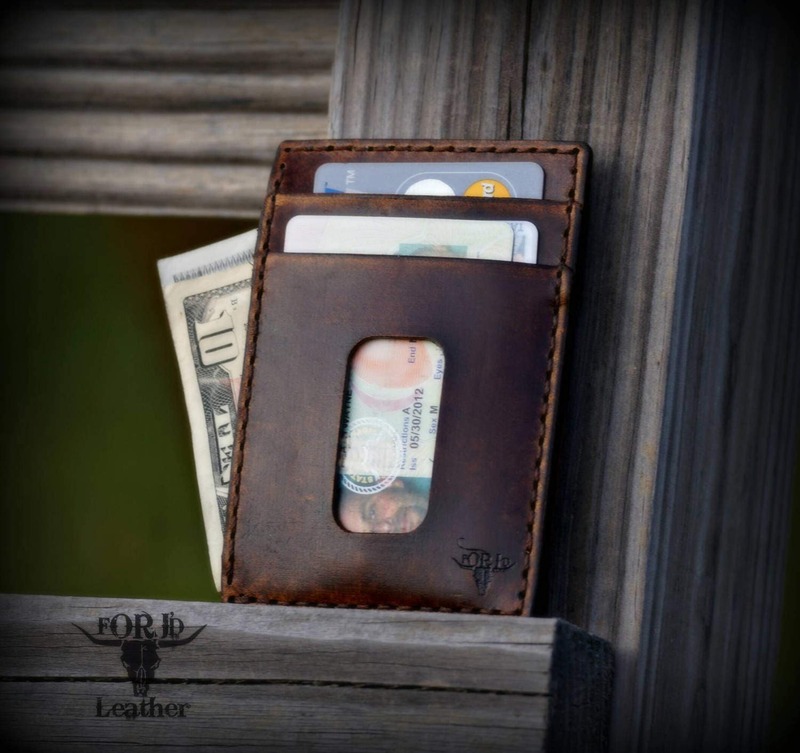 This minimalist front pocket leather wallet has 5 card/cash slots. 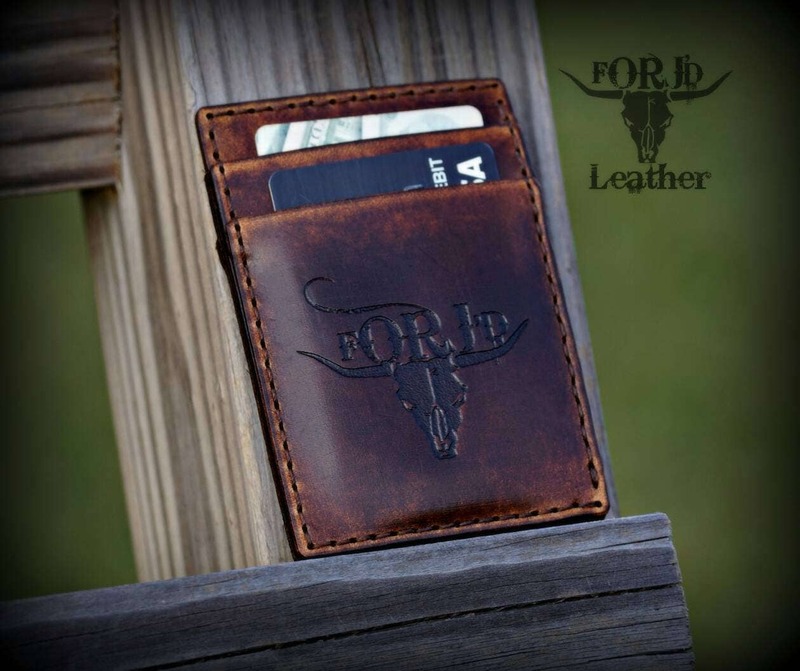 As with every leather product we create, this wallet is hand dyed using premium oil dye. We then give each piece a vintage distressing for character and added softness. 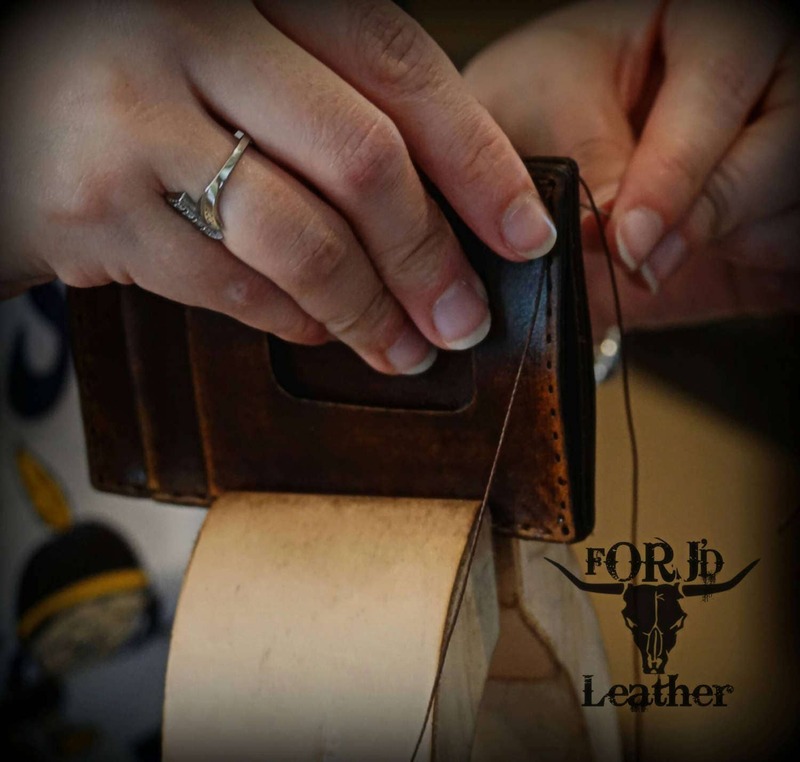 We hand oil, stitch, and finish every piece that we produce. Made in America.